We've been enjoying the long weekend mixing some much needed R+R and plenty of fun. 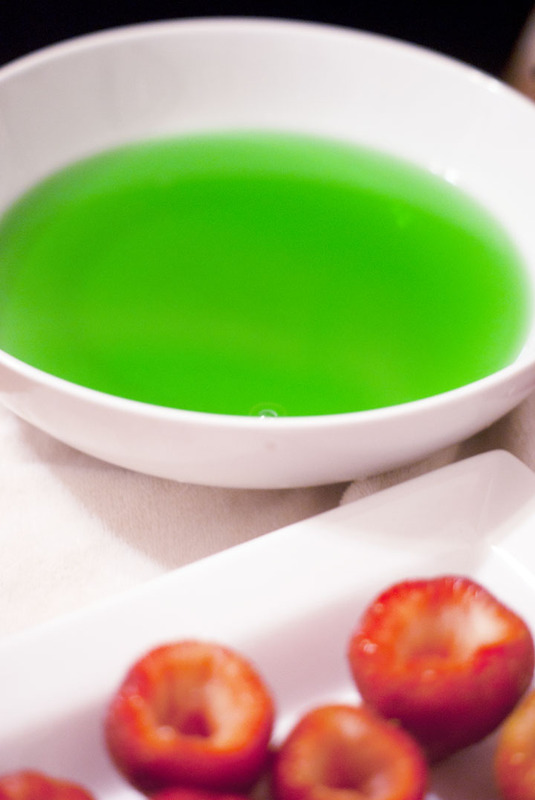 The weekends not over yet, so we decided to make a nice little Monday Funday out of today with this fresh spin on a jello shot. 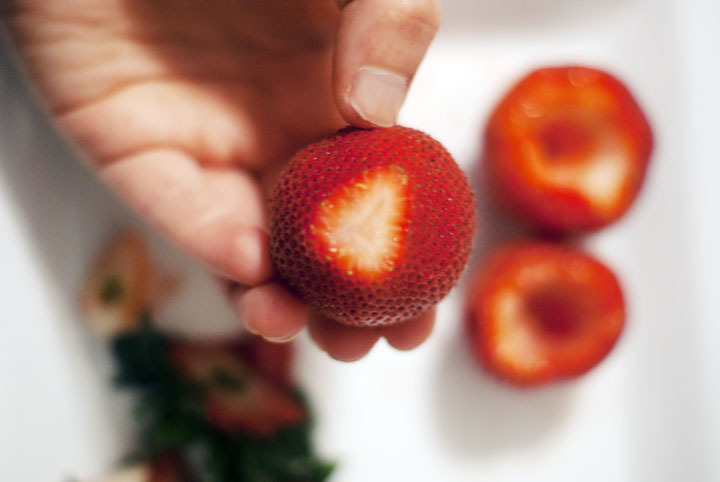 First, slice the top off of your strawberry, and also slice a small portion off of the bottom of the strawberry so that it can sit evenly on a plate. 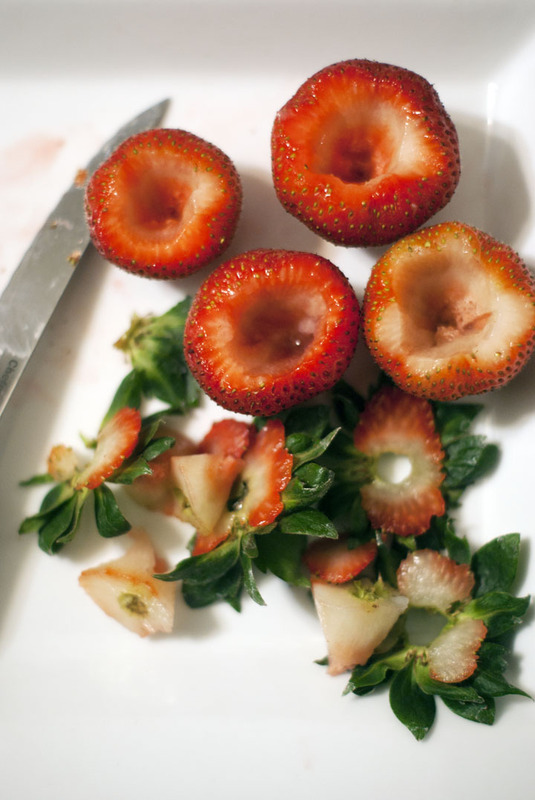 Take a knife, and carefully hollow out the inside of your strawberries. 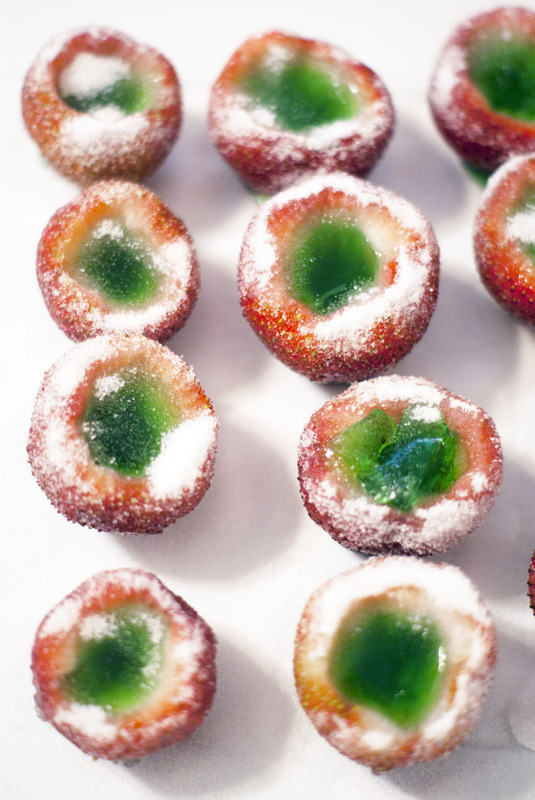 Next, take your package of jello and cook according to the directions on the back. For most recipes, replace the cold cup of water with the tequila or vodka. 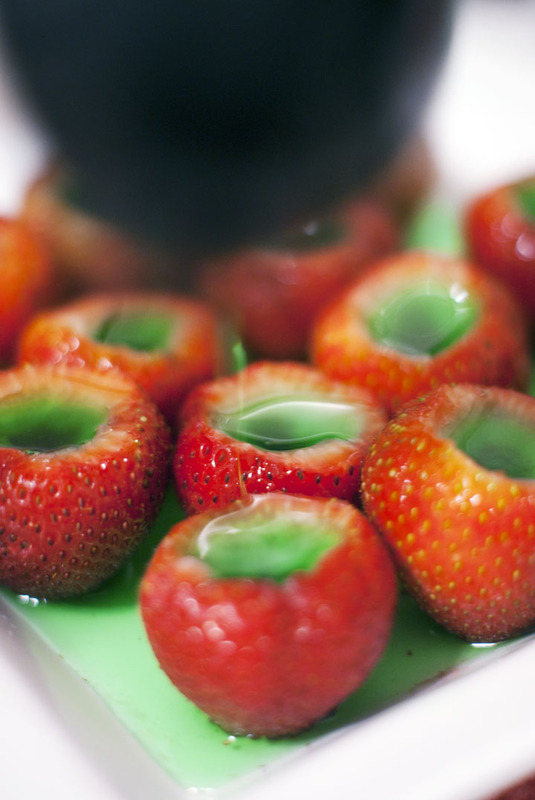 Take your jello mixture and pour it into your hollowed strawberries. 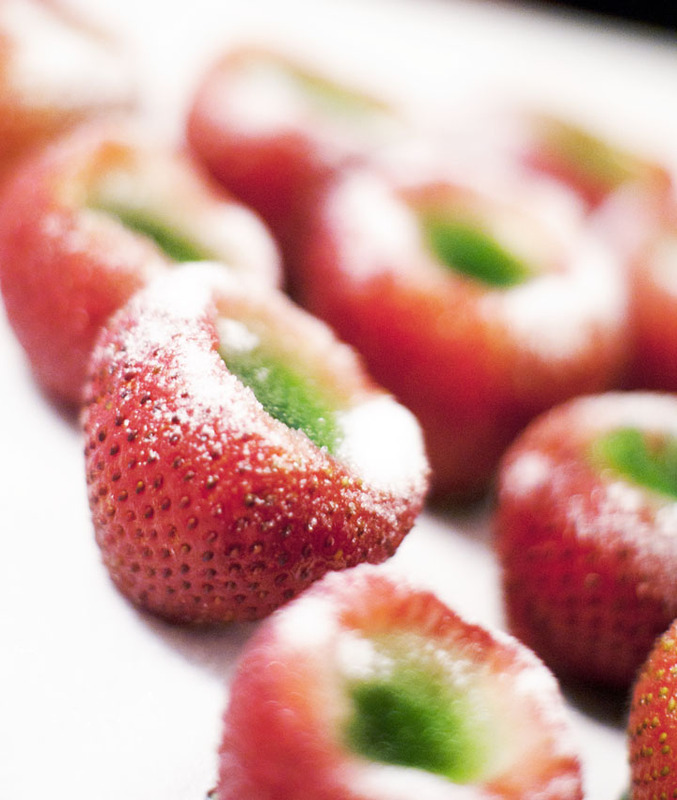 When you have filled all of the strawberries, place them into the fridge for the amount of time directed on the jello box. 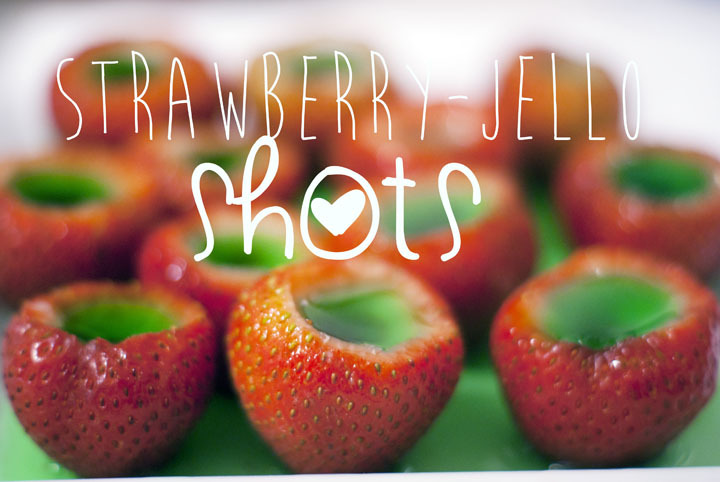 When the jello is set, remove them from the fridge and garnish your strawberry shots with sugar or salt.